COWABUNGA!! Its time to munch on some pizza and fight foot! 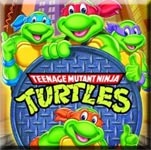 Playmates released the TMNT line in 1988 and has ever since held a place in the hearts of fans around the world. The original figures came with an arsenal of weapons and accessories each character specific. All the characters from the comics and TV series were featured in the toy line as well as original characters. 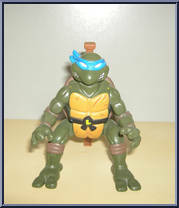 Playmates didn't stop with just animation and comics, with the releases of the various TMNT movies new figures appeared. The movie figs each had exclusive effects that set them apart from the other lines such as real feel skin and movie accurate molds. Along with movie figs playmates released animated figures that were exact makes of the figures from the cartoon. These figures each had a "cartoon features" like spinning heads and twirling hands.